Works quickly to help modify stress-related behavior, but may not eliminate all unwanted behaviors. Improved behavior can be seen in as little as two weeks; individual results may vary. Contains pheromone technology, scientifically proven to modify stress-related behavior. Reduce stress reactions and territorial behaviors in your cat with this calming collar. Use the collar to reduce behaviors like scent marking or to eliminate aggressive behavior in kittens and adult cats. 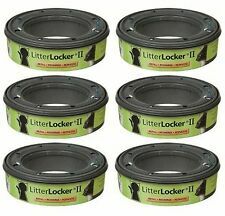 Cat Lovers use Litter Locker because soiled cat litter must be scooped from litter on a daily basis. Litter Locker refills are part of an easy-to-use system that locks in odors. Refill lasts up to two months per cat. Set it on the counter to keep your cat from jumping up, or place it in the doorway to the living room to keep your dog out of the room and off the couch. It's easy to train your dog or cat to stay out of certain areas. 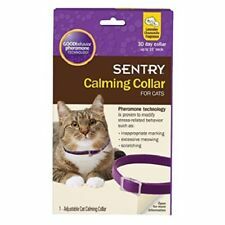 SENTRY Calming Collars use patented good behavior pheromone technology. Using a pheromone that mimics the one mother cats produce to calm their kittens, the collars are clinically proven to reduce or eliminate stress-related behavior such as inappropriate marking, destructive behavior, clawing and anti-social behavior. Trending at $29.90eBay determines this price through a machine learned model of the product's sale prices within the last 90 days. Proven 95% effective for reducing urine marking. Trending at $28.49eBay determines this price through a machine learned model of the product's sale prices within the last 90 days. Cats recognize these pheromones throughout life. These calming collars mimic the pheromone that the mother cat produces to calm and reassure her kittens. Fits most standard toilets.Seat can be removed from the toilet in seconds. 1 Cat Toilet. 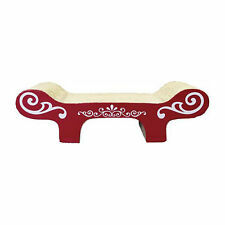 Made of plastic material,strong & sturdy to support the weight of any size cat. Canada, United Kingdom, Austrilia, France, Germany, Spain, Ireland, Italy, Others. Place collar around cat’s neck, adjust to fit cat’s neck comfortably. The collar must be worn loosely to allow for growth of the cat and to permit the collar to move about the neck. Generally, a properly fitted collar is one that, when fastened, will snugly slide over cat’s head. Feline stress can lead to all sorts of problem behaviors like scratching and urine marking. It's also great for the car and even for the vet's office! Plus, it's totally safe to use and won't affect any other pets, including Fido?although he may also enjoy a more calm and relaxed kitty himself. Pet care professionals choose our Guardian Gear™ Lined Nylon Cat Muzzle to help stop biting and chewing by difficult cats. Made from strong nylon fabric, lined for creature comfort, each has a fully adjustable strap with Velcro® fasteners. It's easy for the handler, owner, or groomer but difficult for cats to remove with their paws. Lined Nylon Cat Muzzles are available in the sizes listed below. Feliway MultiCat Refills For Cats Constant harmony 3044 2 Pack. Condition is New. Shipped with USPS First Class Package. 2 refills included. For use with the Ceva Diffuser only. •for Staring. •obstructing. Refill can for the Ssscat Spray Deterrent (PDT00-13914) with about 120 sprays per refill can. The safe, harmless spray surprises your pet, reminding him to stay away. Protect furniture, counters, rooms, and more. Sergeant’s Vetscription Calming Collars for Cats use patented pheromone technology. Using a pheromone that mimics the one mother cats produce to calm their kittens, the collars are clinically proven to reduce or eliminate stress related behavior such as inappropriate marking, destructive behavior, clawing and anti-social behavior. I WILL GET BACK TO YOU RIGHT AWAY. Unscented Refill Can for Petsafe SSSCAT Motion Detected Training Aid. The humane way to protect off-limit areas With SSSCAT, cats are deterred from going near valuable furniture, counters and plants. 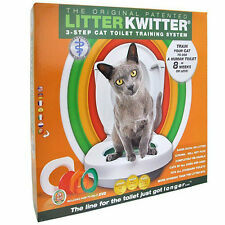 Litter Kwitter The Original 3 Step Cat Toilet Training System No DVD Very Good . Condition is Used. Shipped with USPS Priority Mail. PetSafe SSSCat Cat Control System - PPD00-16168 Protect your Christmas Tree (This New version replaces the previous PDT00-13914 system) The ultimate cat control system. SSSCAT is an automated spray system that combines Innoteks spray technology and a motion detector to protect indoor areas and objects from cats and dogs within a radius of 1 meter (3 feet). The device detects a pets movement as it approaches an off-limit zone and then releases a brisk, harmless spray. The pet is surprised and turns away. Thundershirt's patent- pending design applies gentle,constant pressure on a cat's torso, and this pressure has an amazing calming effect for most cats. Pressure has been used to successfully reduce anxiety for many years for both animals and humans. 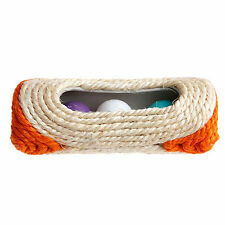 This CatStop from Eyenimal will help keep cats out of gardens and other outdoor areas without using chemicals or sprays. The unit gives off ultrasonic burst for 20 seconds every 50 seconds, 3 minutes or 5 minutes. It also emits a flash of light. 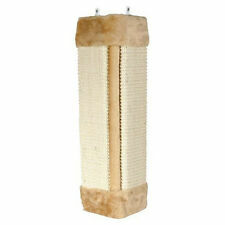 The unit can be mounted on a wall or placed on the included ground stake for easy installation. Operates on 3 AA batteries. Note: Ultrasonic tones may not affect certain exotic breeds and older cats that may be hard of hearing in the upper hearing range. Questions? Just ask. We are a small family business and always happy to help.. The Litter Genie Pail uses refill bags with five layers of built-in odor barrier technology. Litter Genie Standard Refill. Manufacture: Litter Genie. Experience the Litter Odor Revolution. View larger. The PetSafe SSSCAT Deterrent Cat Spray easily protects indoor areas and objects from your pets. When the SSSCAT detects your pet entering an off-limit area, it emits a harmless, odorless and stainless spray to deter your pet from continuing. Trending at $8.28eBay determines this price through a machine learned model of the product's sale prices within the last 90 days. Thundershirt for Cat Anxiety - Large - Gray. Condition is New. New sealed item. Thundershirt applies gentle, constant pressure that has a dramatic calming effect for most cats. With its patent-pending design, the new Thundershirt for Cats applies gentle, constant pressure to the torso. This egg has a sensor and when it senses your cat, it squirts out air from a canister (no included) and hisses and scares your cat away. 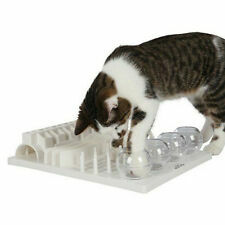 This is a great way to help train cats as they do not learn boundaries like fully domesticated animals like dogs. The egg does not hurt anything, its just a scare tactic. How does it work?. Vetscription™ PetSTOP! ™ behavior correction spray for dogs and cats emits a hiss of air with a pheromone to interrupt undesirable behaviors in pets. Uses pheromone technology to stop the bad behavior. 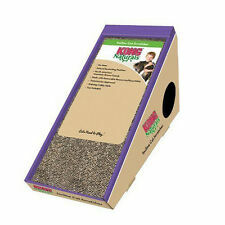 LITTER KWITTER Cat Toilet Training System--LK-1---brand new. Condition is New. Shipped with USPS Priority Mail. AMAZING AND CONVENIENT, CBD CAT TREATS FOR DAILY CALM,10 MG.